Nothing reveals the beauty and brilliance of a metal more than a good polish work. Our polish department is full of artists ready to get any metal to shine its original shine. K&G Marine specializes in the polishing of Stainless steel, Aluminum, Brass, Cast aluminum, Product polishing, Marine parts, Motorcycle parts, Aviation parts, Auto parts, Wheels, Railings, Abstract Art & More! Mirror Finish Polishing focuses on giving the metal a mirror-like appearance. All surface defects are removed. 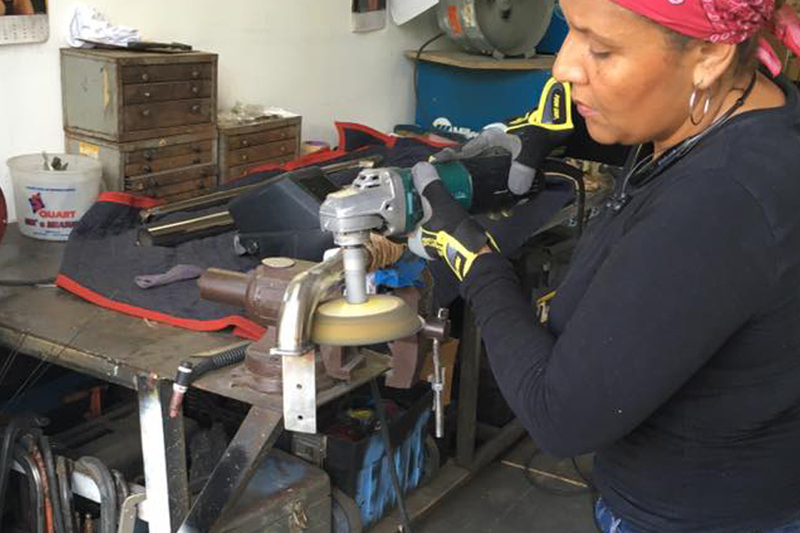 K&G Marine employs highly trained polishers ready to take your metal pieces, and make them reflect all the beauty around them. Brush finish, also known as “architectural finish” is characterized by fine polishing grit lines that are uniform and directional in appearance. It is produced by polishing the metal with a 120 – 180 grit belt or wheel finish. K&G Marine polishers are trained to repair metal with brush finish pieces, as well as to give your metal the fine and delicate lines that will take your metal pieces to the next level.